Composer and multi-instrumentalist Ras Moshe was born Theodore Burnett III in Brooklyn, heir to a rich family musical legacy. A grandfather who came to America from Jamaica played saxophone in bands led by luminaries like Chick Webb, Benny Carter and Sister Rosetta Tharpe. According to Moshe’s bio, his father, Theodore Burnett II “played alto sax, and bass clarinet in the Brooklyn area throughout the 70’s and 80’s. He resumed musical activity from 2000 until his passing in 2014.” Ras, who plays flute and sax, was involved in music starting in grade school and began his professional career at 19, playing in African drum groups and reggae bands, then starting his own ensembles. 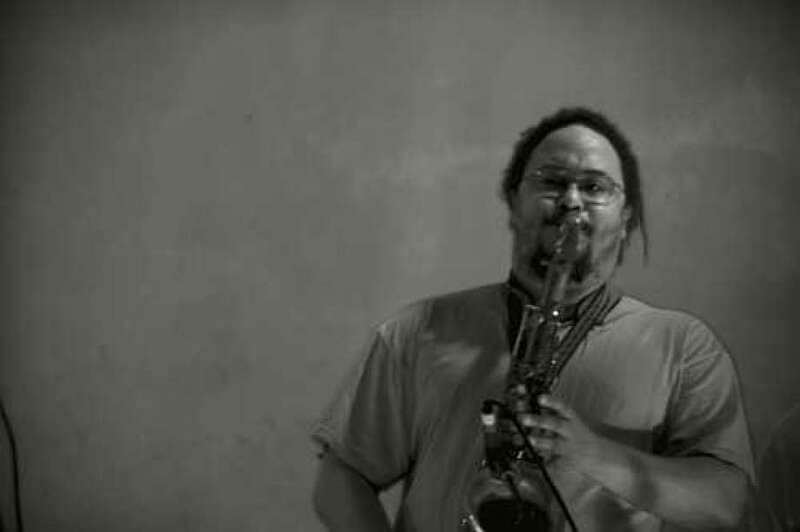 In addition to leading groups, he has been part of many ensembles and is the founder of the “Music Now!” series, a showcase for jazz and new music in New York City. His six-man Music Now! Unit is on tour with “Peace Be With You: Letters from Rap,” a multimedia performance featuring music and narration based on letters written by Moshe’s father during his service in Vietnam from 1968-1970. 7 p.m. Saturday. $20. Sanctuary for Independent Media. 3361 Sixth Ave., Troy. 272-2390. mediasanctuary.org.